"Our development engineers have embraced this unique tool [Change Impact Viewer] because they can do ‘what-if’ scenarios without affecting other developers. This enables them to debug issues they have encountered due to improper code changes and also allows them to determine the impact changes will have on other code baselines of the same project." "McCabe CM enables us to maintain parallel streams of development with minimum effort. 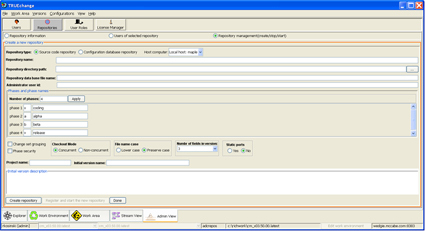 The ability to migrate change sets greatly helps us to release multiple version of software with minimum test time. All these could not have been achieved with other file based tool." Organizations like Citigroup, Network Solutions, Lockheed Martin, Novatel, Vertex, JPMorgan Chase, and Broadridge use McCabe CM - TRUEchange, the only Software Change and Configuration Management solution to utilize 'Integrated Difference' technology, to selectively migrate change across the enterprise, saving time, resources, and money. Doing Agile development? Then you'll appreciate the true power of our exclusive Change Impact Viewer. It lets you answer the questions, "What does the file look like if I add this change to it?" and "What if I remove that change?" No one else has it. McCabe CM - TRUEchange does. See a demo. The Change Impact Viewer allows you to compare files by adding and removing changes; it also allows you to simulate change migration and removal as well - without modifying the data stored within the TRUEchange repository. It gives you insight into the degree of impact those changes will have on other files, too. 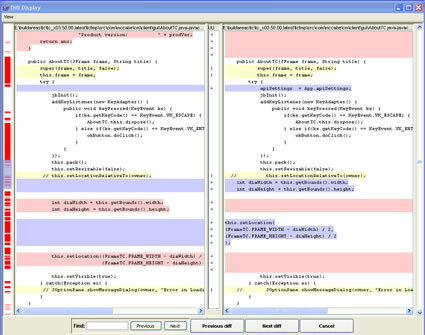 Now the Change Impact Viewer not only shows users the consequence of implementing a change, but also enables them to perform test builds and search for text in inactive lines of code. Users also are able to share the Change Impact results with colleagues to enhance collaborative development efforts. Valuable code content may no longer be active, and you may not know where it lies within inactive code. The Change Impact Viewer now allows you to search for specific content and find out where it lies, who made it inactive, and when. New memory optimization and data parsing techniques have led to significant performance improvements. We've added visual aides such as line numbers to quickly identify the location of impacted code. In addition, you are now able to show/hide information windows as needed, helping to better utilize the space to view critical content. 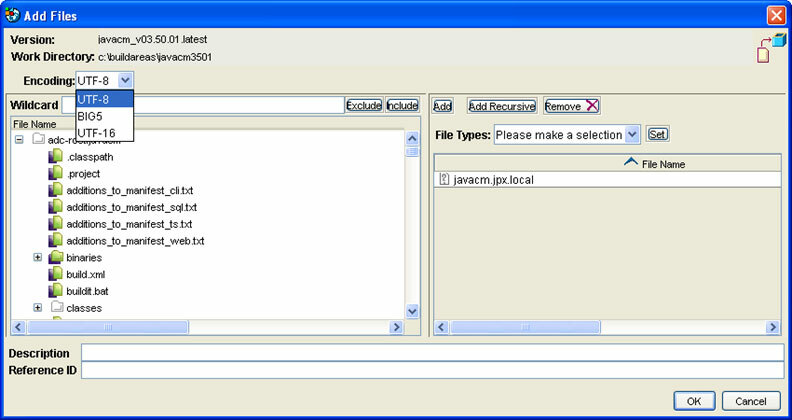 StreamCM 3.6 allows users to create, stop and start repositories from the Admin View. 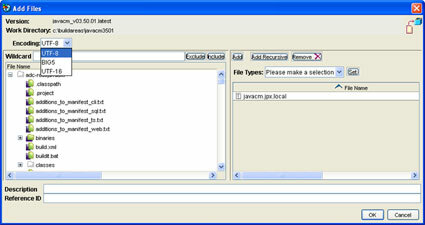 The TRUEchange 3.6 server must be installed to take advantage of this functionality. With the TRUEchange 3.6 server installed, users can start the local license manager on a machine using the StreamCM tool. TRUEchange repository servers have a fully-functional interpreter that allows administrators to execute special instructions on the server. Global development teams often suffer when transferring data from corporate source control tools over large distances. TRUEchange's Data Transfer Compression technology accelerates data transfer on a Wide Area Network 4 to 13 times vs data transfer without compression. The file transfer happens faster, so your developers can work instead of wait. Organizations that are looking to consolidate their security infrastructure with LDAP or Active Directory can now use TRUEchange in this environment. TRUEchange integrates with both LDAP and Active Directory server authentication. Files that are encoded with multi-byte formats will now be able to be stored inside the repository and be manipulated with the full range of TRUEchange functions. The files are treated exactly like ASCII, not suffering the limitations of binary storage. 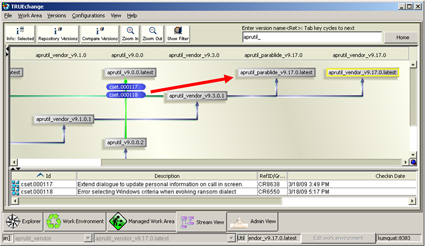 A built-in graphical file difference viewer has a graphical scroll bar on the left side that visually shows the change sections in the file. Our CruiseControl plug-in was written by McCabe Software specifically for TRUEchange and supports version 2.8.2. Whether you release applications yearly, quarterly, weekly, or daily, TRUEchange can support your Agile development process. You no longer have to wait for every change scheduled in a release to be finished before moving on to QA, testing, or production. TRUEchange allows you to selectively promote and demote specific change requests within the software life cycle, while other more complex issues or untested changes remain in coding until they are resolved. This powerful feature saves time and increases the efficiency of software testing professionals. The client-side conflict resolution that is possible with Agile Workspaces, as opposed to traditional server-side resolution, gives developers more control. The benefit of this is that conflict is resolved by the developer before changes are checked into the repository. TRUEchange is unique in that it utilizes Integrated Difference technology coupled with a new approach to workspace management. This proprietary technology enables development, test, and release teams to selectively migrate fully-auditable change in any direction across the application lifecycle. With TRUEchange, manipulation of change is performed using selective migration: the ability to share the original change among multiple releases. Using selective migration, a developer can implement a change, and then share that original change with other releases. This sharing provides mechanisms for modifications that allow the change to be tweaked such that it fits cleanly within an altered environment. Users manage projects and not files, with the TRUEchange Stream View. Each version or release stream is effectively a pool of change applied to a labeled baseline. 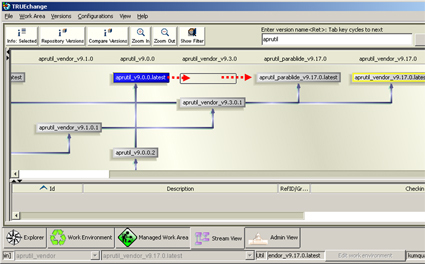 Stream View provides a visual representation of the history of each project, including the relationships between versions within the project. Users no longer have to guess which changes exist within a particular version. Stream View displays the differences as well as the similarities in each development stream. Enhancements, defect corrections, or patches can be applied to relevant releases in seconds or minutes as opposed to hours or days. The need for a remote configuration management solution has become more and more prevalent with the advent of globally distributed development teams. You need to make sure that the solution you choose is powerful enough to manage change throughout your enterprise, whether local or across the globe. 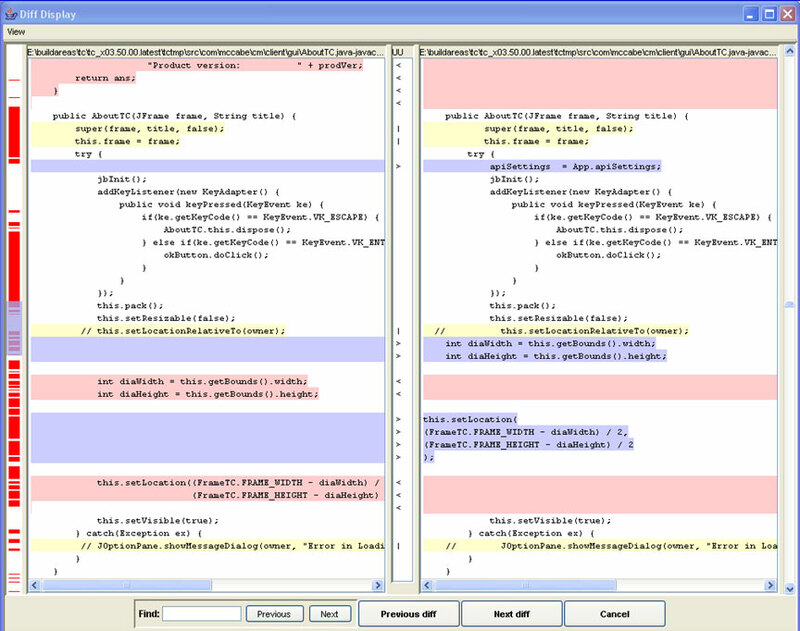 TRUEchange enables your development team to see the same GUI no matter what platform they are using. Consistent functionality across all platforms also means a much lower learning curve and quicker time to market. TRUEchange also simplifies product installation and upgrades with update detection and automated download to ensure all users have the most current version. TRUEchange's secure distributed multi-site development environment provides access to dispersed repositories. This provides single point of access to applications without synchronization or multi-site overhead. 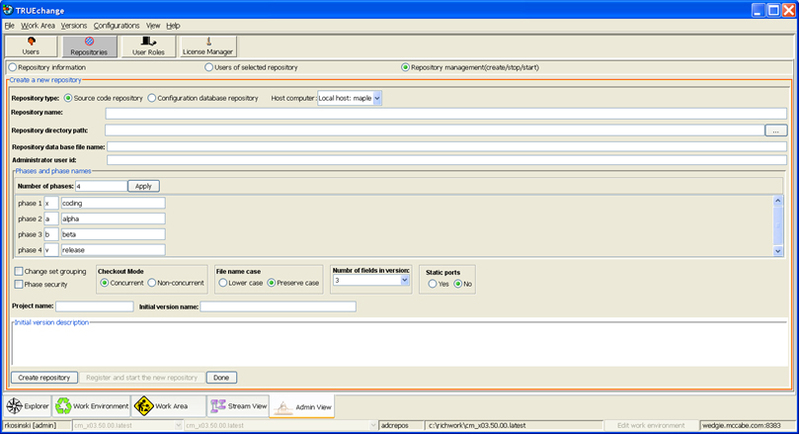 TRUEchange secures all source files in its repository and tracks who accesses files and what changes they made. TRUEchange provides the ability to pass federal, state, and internal software audits (Sarbanes-Oxley, ITIL, etc.) by providing secure movement of code, segregation of roles and responsibilities, robust reporting, trusted source and roll back capabilities. TRUEchange provides an intuitive and logical approach to software versioning. It helps organizations manage their change process, speed application delivery, and ultimately improve software quality - all at a lower total cost of ownership. TRUEchange deploys quickly and is easy to use, resulting in a significantly reduced 'CM administrator to developer ratio', and flexible, accelerated release schedules. We are committed to supporting the latest technology advances. If you do not see your platform on this list or have any questions at all, please contact McCabe. TRUEchange supports all file types, including multi-byte.